- Included Components: Min 1000 Qty. Vibrant style statements-We offer our clients a wide variety of Metallic (Foil) & Applique ( Foil & Fabric) processes for them. These are used widely in the garment industry or any promotional product on the apparel. The process provided by us results in extraordinary custom transfers that are dynamic, and long lasting. These Metallic Paper Sheets are used for various designing and printing work like cards, designs items, decorative items, etc. We Mfg Metallic Paper & Board which is widely used in Wedding Cards, Greeting Cards, Paper Bags, Tags, Jewelery Packaging, Gift Wrapping, etc It is also used in Offset Printing & Digital Printing. Justifying our reputation in the market, we are readily engrossed in offering a wide assortment of Metallic Paper Cardboard. Accessible with us in a variety of provisions, these provided cardboards are hugely acclaimed and recommended. 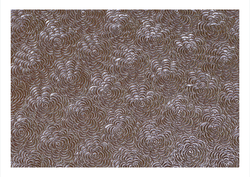 Avail from us, quality Metallic Handmade Paper that is highly demanded by the clients owing to its attractive appeal. 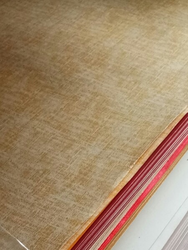 Our Metallic Handmade Paper is perfect for wrapping gifts and for decorating purpose. Shree Gajanan Paper & Boards Pvt. Ltd.